Please enjoy this first, but happily not the last, guest post by Piper Huguley. You can learn more about Piper by following the links in her bio at the end of the post. 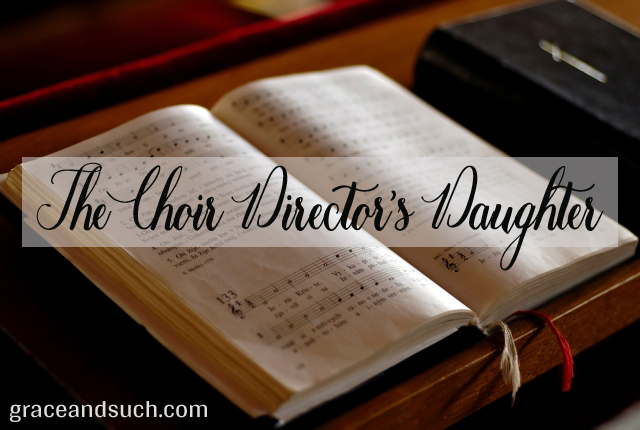 As a child my weeks were marked by the passing of Wednesdays and Sundays, the two days in the week that my father, the director of two choirs, would have rehearsal. My sister and I could not escape attending it because my mother sung in both choirs too. [pullquote width=”300″ float=”left”]The best required the discipline of regular rehearsal. [/pullquote]Long Wednesdays meant church choir rehearsal. So that meant getting to know our church as a building and looking out for my younger sister so that she didn’t get into trouble. We would play up and down the aisles as the choir practiced their anthems for Sunday, as well as practice music or staging for the always inevitable Christmas or Easter cantata. I remember feeling irritated sometimes. What was he doing that was taking so long? He was the director. Why couldn’t he just cut it short? Why couldn’t we go home instead of me chasing after my sister who liked to crawl under the church pews? Long Sundays meant church of course, but after church the family singing group, called The Gift of Song, would come to our house to rehearse. At least I was at home, but I might have to babysit (without pay) instead of reading or doing what I wanted to do, since I was seen as “the responsible one”. And the irritation would come again. Why are all of these people here? He’s the director. Why couldn’t he cut it short and tell all of those people to go home? What I didn’t understand then, but I know now, is the rehearsal was part of the discipline necessary for both groups to maintain the standard of excellence that my father desired. Practice or rehearsal meant making sure that there was clarity in enunciation, diction, voice control, breathing–all necessary to sing a song in a soul-tugging, heart-touching way. He wouldn’t allow either group to put forward anything less than their best. The work that went into their singing required discipline. In forming the family spiritual singing group, my father understood that 19th century predecessors like the Fisk Jubilee singers proved the value of discipline. Their dedication to their music proved that African Americans were human beings capable of high standards and excellence, even when the conventional wisdom of the day said otherwise. Of course the time came when I was older and could stay at home on Wednesday nights instead of going to the church for rehearsal. But the time also came when the members in The Gift of Song didn’t want to spend their Sundays rehearsing anymore, and so the group came to its natural end. That decision to end the group hurt some members, but the message that my father sent in ending the group was loud and clear. He was not willing to have that group perform anything less than its best. The best required the discipline of regular rehearsal. 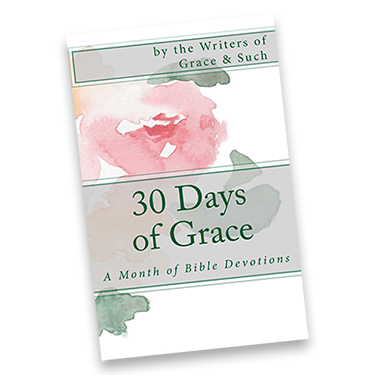 As an author, and certainly not a singer, I too, understand that I must embrace this lesson of regular, disciplined practice if I want to be better. Malcolm Gladwell put forward the idea of 10,000 hours as a requirement to reach the highest standard. As a child, it felt as if I spent 10,000 hours in rehearsal watching my father. However, as an adult I learned that instituting a regular practice helps to improve skill and lends pride, dignity and purpose to any endeavor. I’ve learned to do that from my choir director father, and I hope the lessons show in my work. My children would empathize with you! Such is the lot of those whose parents serve the church. I adore your father already but I love him even more after reading this post. Yes, Julie. He put in a lot of time and hard work over the years. I admire him more for it myself! When I tell people I grew up in church, I mean it literally. And I’m pretty sure my kids would say the same. 🙂 I love your perspective that excellence only comes from discipline. Great post, Piper! Thank you so much for your comment, Jen, and thank you for having me here today! Awww, Cilla you are so sweet! I wish you could tell my students that…:) Thank you so much for stopping by! I learned discipline from my parents’ actions, too. What a lovely portrait you paint of their passion! Thank you, Natalie! I’m glad that I was finally able to see the lesson. Kids can be kind of hard-headed sometimes! Welcome, Piper! This post is great on so many levels, but it makes me think of all you PKs and the sacrifices you made so that many of us could enjoy participating in sharing our gifts in choir. Our choir at church actually disbanded several years ago – maybe 5 years, now? – because so many folks were finding it hard to stay faithful to rehearsal. Much better to let it go and see where God led rather than to force the issue and have the faithful few doing their best, but not sounding rich and glorious, on a Sunday. But I miss it. Thank you for the reminder about discipline as I endeavor to teach this nearly 47 year old brain how to play piano. I’m all thumbs right now, but I sure do love it. Thank you so much Gretchen. I never thought about it as a sacrifice on my part, but I appreciate the reminder. And for reminding me that we are always in the process of learning new things. Kudos to you and your piano playing! And I bet all that music saturated your soul without you even realizing it. I love church music but I have no musical inclination so the grownup me is envious of those Sundays and Wednesdays. Not sure what my child self would have thought about it all. LOL Great lesson on self-discipline. And interesting to think about writing as an art that requires the same kind of practice music or visual art does. Oh Kav, it did saturate my soul. I can call up any number of songs, arrangements etc. It’s helping me a lot as I’m writing the next Milford, The Songbird’s Stand. Thank you for stopping by and commenting! I love this, Piper. I can just imagine you as a small child, waiting and pondering. Waiting is so hard for children. But it is ironic that your foundation was being laid for you, without you even realizing it. The lesson is in the learning itself. I’m often impatient when it comes to practice. Thanks for the reminder to slow down and be sure that I’m honoring God in a most excellent way in all I do. PS- Your post gave me such a warm fuzzy feeling of growing up in and always being around church. I was raised by my Grandmother and she was always serving, so I was always with her.